We continue our blog post series about our favorite Hungarian cities beyond Budapest with a lovely and significant city from Hungarian history: Esztergom. 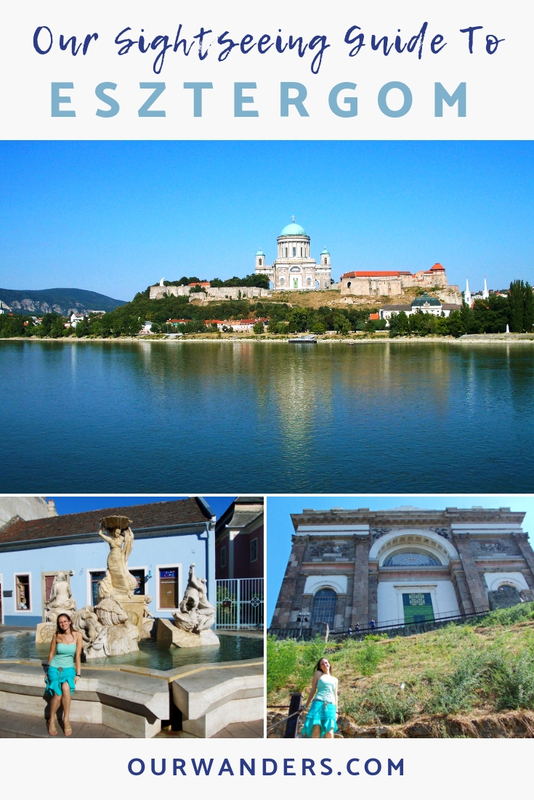 Esztergom is one of the oldest Hungarian cities and it has an eventful history. 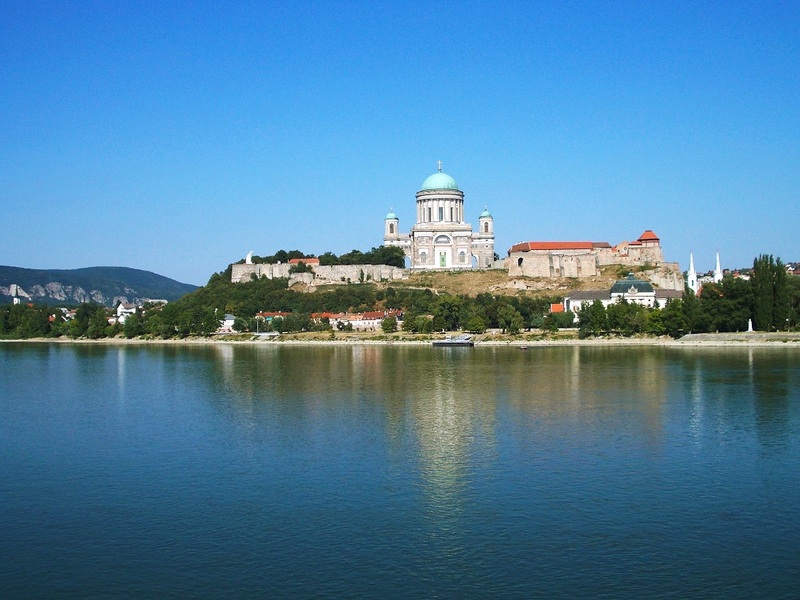 Hungary’s first king, Saint Stephen was born in the palace built on the Castle Hill in Esztergom. Then his coronation took place in the Basilica in Esztergom on January 1, 1001. This date is actually the foundation date of Hungary. Pretty cool, right? At every millenium Hungarians celebrate their own millenium as well. But going back to Esztergom and its significance… It was also the seat of the archbishop, the head of the Roman Catholic Church in Hungary. Being a center of the political, economic and religious life Esztergom was really the heart of medieval Hungary by the 13th century. Until it was destroyed in one of the invasions – yes, Hungary had quite some of those in the upcoming centuries. Of course, the city was rebuilt later but Esztergom as existed in the Middle Ages now rests under today’s Esztergom. And after the royal seat was moved to Buda (yes, ancestor of today’s Budapest) and Visegrád, Esztergom never got back its past glory again. 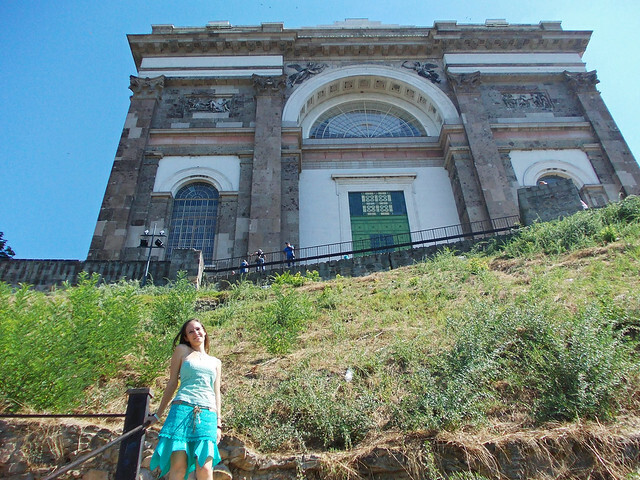 The most famous building in Esztergom is obviously “the” Basilica. See? It was actually called the Cathedral of St. Adalbert originally but everyone in Hungary refers to it as “the” Basilica today. Okay, the Cathedral of St. Adalbert was destroyed and a whole new church was built later. 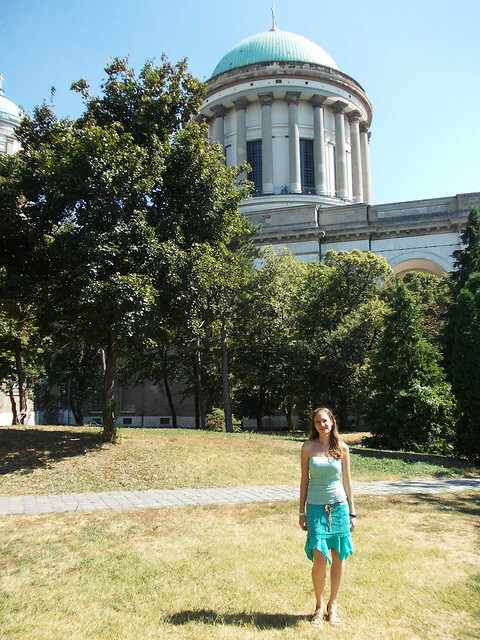 But if you just say “the” Basilica, everyone thinks of the Basilica of Esztergom. Obviously. Not just that our first king was crowned there but with its 72 metres high dome it’s the largest church in Hungary. Even more important, it’s also the most beautiful church in Hungary. It was built on Castle Hill close to River Danube so that it can be seen for many kilometres around and it’s nicely reflected in the Danube. Once you are up on Castle Hill it’s worth taking a walk to the Statue of King Saint Stephen to get a wonderful panorama of the Danube and the city from above. If you’ve already read some of our previous posts about Hungarian cities you’re probably not surprised that the main square of Esztergom is called Széchenyi Square. István Széchenyi is often said to be “The Greatest Hungarian” and almost every city has a square named after him. But Széchenyi or not Esztergom has a nicely renovated main square with pretty old buildings, several statues and fountains. Nearby Deák Ferenc street is one of the oldest streets of the city with charming old mansions. And Maria Valeria Bridge is also close by. This is another interesting piece of Esztergom because it’s half Hungarian, half Slovak. This bridge was destroyed in the Second World War and it was reopened only in 2002 connecting Esztergom with the city of Štúrovo in Slovakia. As Hungary is the land of thermal water thermal spas are not at all rare in the country. Like every bigger city has one. Even smaller cities. Esztergom has quite a new one called Aquasziget that is a thermal spa and waterpark. 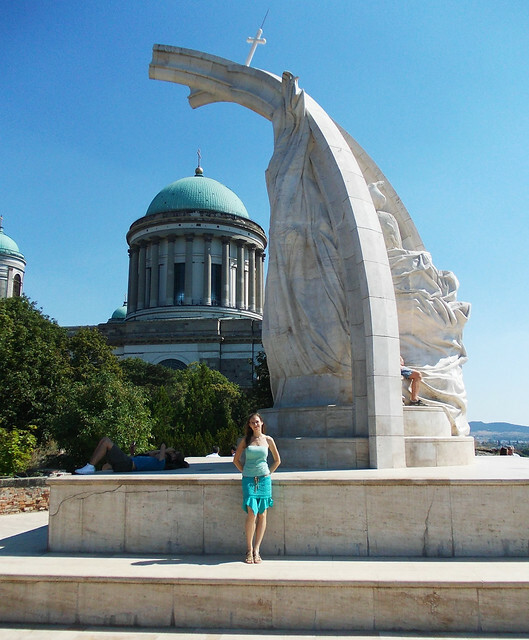 Esztergom is a perfect day trip from Budapest. It’s only 1 hour by car and about 1.5 hours by train or bus. There are also scheduled boat tours from Budapest to Esztergom and they offer spectacular views of the Danube Bend and the surrounding hills. Have you been to Hungary? What would be on your list to visit?